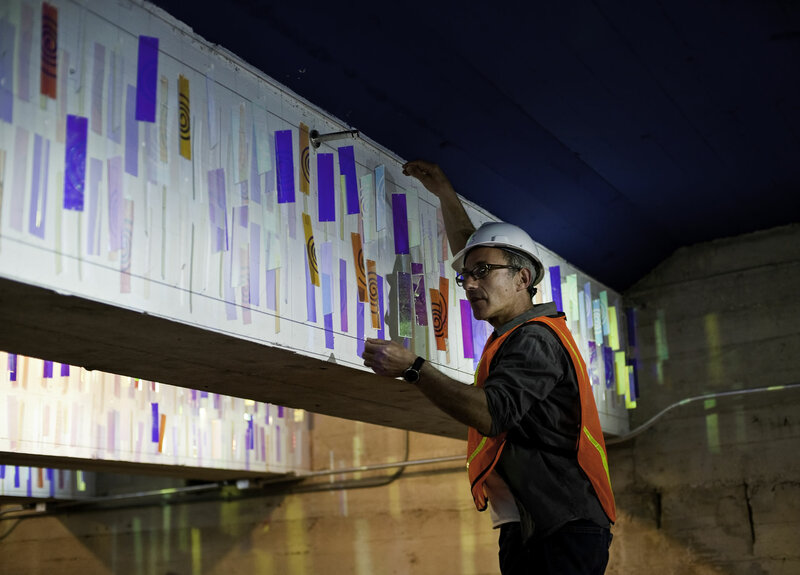 **NOTICE** Due to wind damage, the artwork has been removed as of November 2016. 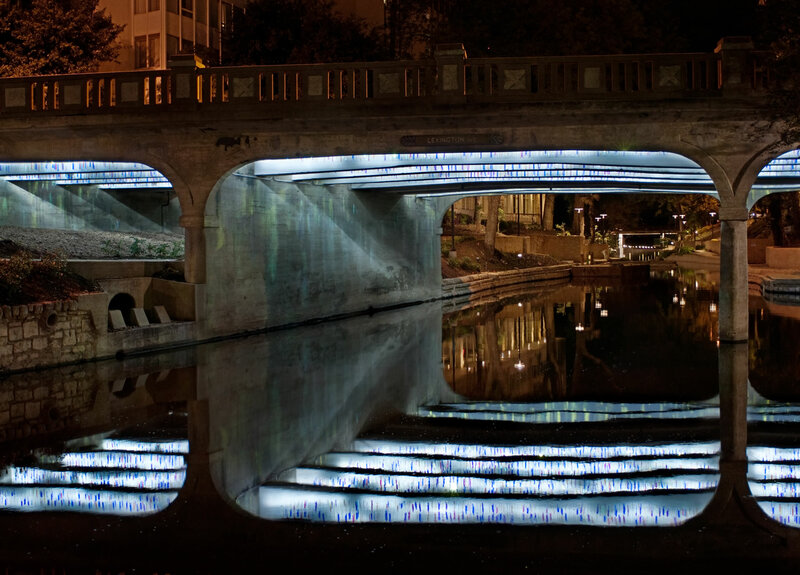 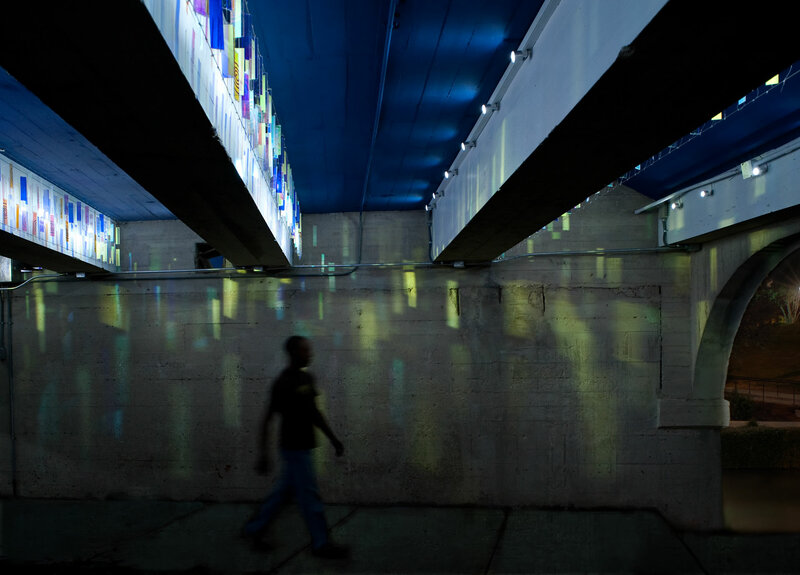 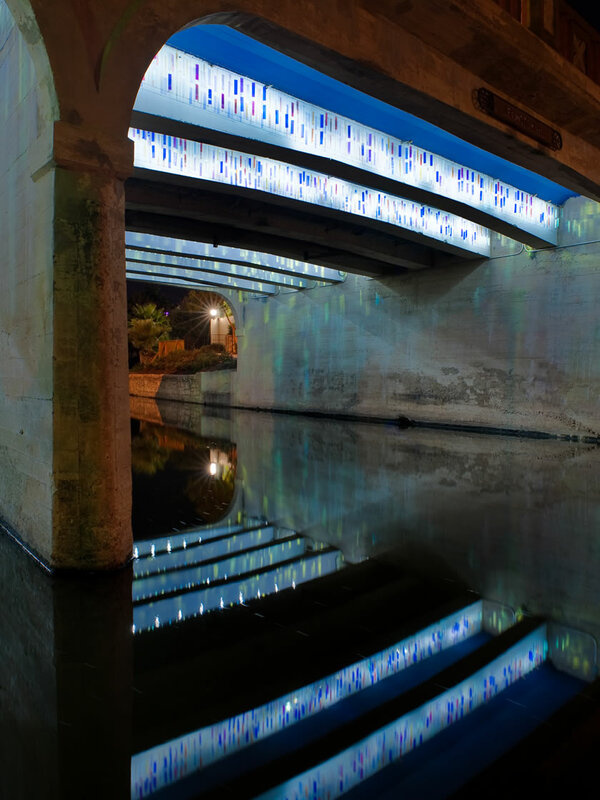 British artist Martin Richman’s first public art project in America immerses the Lexington Street Bridge and passers-by in gently shifting, dancing, colored light. 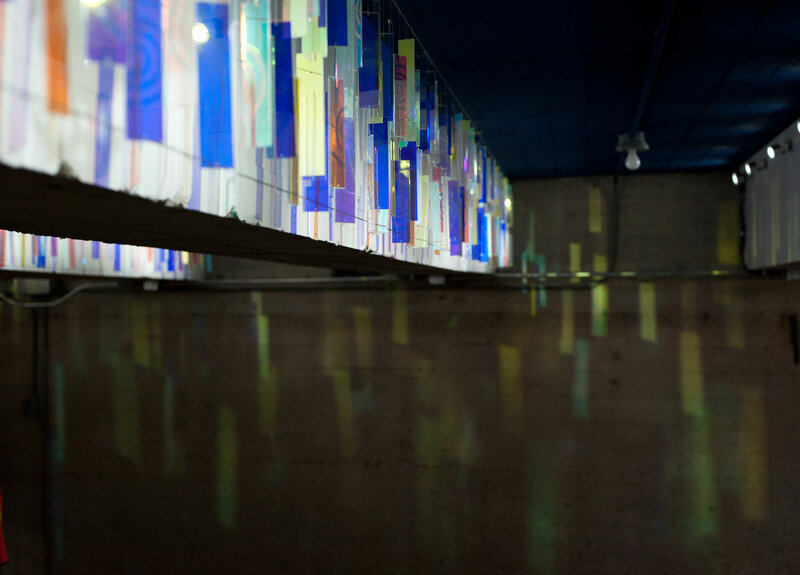 Dazzling, reflective, suspended dichroic strips move in the river breeze, creating a portal of ever-changing light to awaken the senses and signify entry and exit of the Museum Reach.